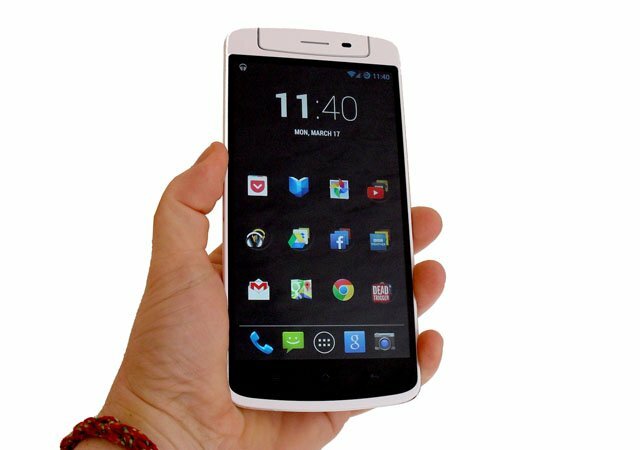 Now the N1 can be bought with a factory-fitted CyanogenMod ROM, combining Oppo’s highly individual hardware with what, by general agreement, is the best community Android ROM currently available. Sort of a CyanogenMod Nexus device, then. Hardware first. 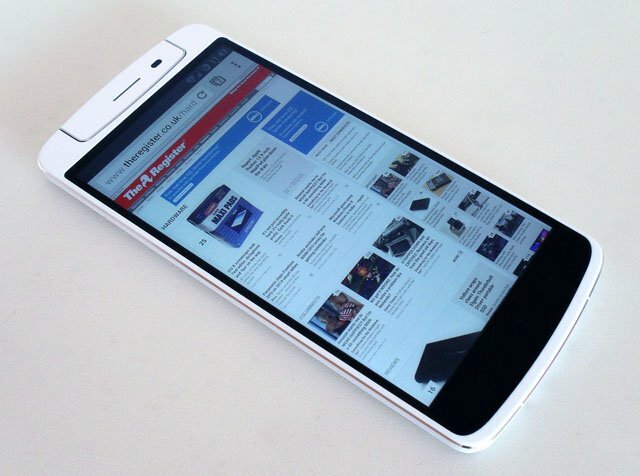 If you like small smartphones, look away now because the N1 is a bit of a monster. Granted, it has a 5.9-inch screen so it was never going to be petite, but the only phablet that’s larger (albeit much thinner) is Sony’s Z1 Ultra, and that boasts a 6.4-inch display. Measuring up at 171 x 83 x 9mm and weighing 213g the N1 makes the Samsung Galaxy Note 3 look like a child’s toy, and that despite the Note only giving away 1/5-inch in screen size. Slip the N1 in your suit jacket pocket and you will come over a bit Quasimodo. Like most large phablets, the N1 is a challenge to use with one hand. I’ve got fairly small hands, so that reaching the far edge of the screen with my thumb was often impossible. On the positive side, the volume and power buttons are well placed, while on the back you’ll find a 40 x 30mm touch pad called O-Touch which you can use to scroll the display. It’s certainly handy if you want to shuffle down a web page or flip through a picture album without your finger getting in the way. The N1’s 1080 x 1920 display is rather a good one, and viewing photos on it is a delight. It’s vivid, bright and supports very broad viewing angles. This IPS panel is close to the top of the class and thanks to its 373ppi pixel density, it’s as sharp as a tack. The panel is rather reflective though, so performance in direct sunlight is no more than average. That’s its only failing. The N1’s bulk isn't just down to design waywardness. It is a very solid and well made lump and has a premium feel to it. That’s just as well in one particular area: the camera. Rather than having two – front and back – the N1 makes do with one 13Mp snapper fitted into a rotating housing at the top of the device. It’s a design that may give some potential purchasers pause for thought, but the hinge feels very well engineered. 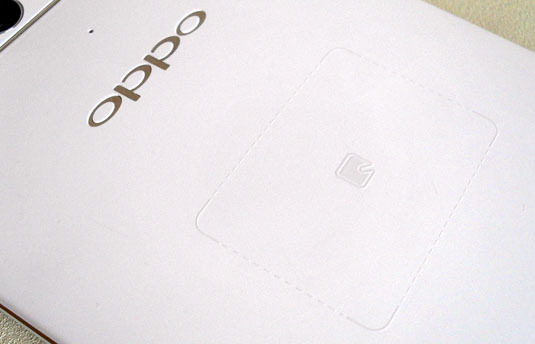 Oppo reckons it has been tested without failure to 100,000 swivels – that’s five a day, every day for more than 54 years. The camera is a solid performer too. In daylight it takes richly coloured and highly detailed images, while at night the dual-LED “flashes” and the slow shutter option produce some pretty impressive results.